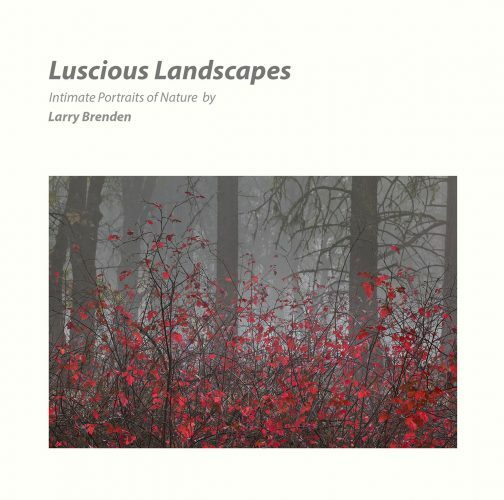 The book Luscious Landscapes is a celebration of 14 years of Larry Brenden’s natural landscape photography. It is a soft cover coffee table book with wire-O binding, and contains 69 one or two page photographs in it’s 74 pages. The price is $34.95 for the printed book plus modest shipping charge, and $4.95 for the digital version. It can be purchased directly at Magcloud.